Tis’ the month before Christmas and there is no shortage of ways to celebrate. Each year, I am filled with child-like joy as I pull out my Christmas decor. It isn’t as much about the twinkly lights and shiny ornaments, as it is about the time-honored traditions and family memories. One of my family’s most treasured items is our advent calendar. Without getting into a lengthy history lesson, Advent is a season celebrated in many ways all over the world. For most, it is observed as a time of anticipation and preparation for Christmas. 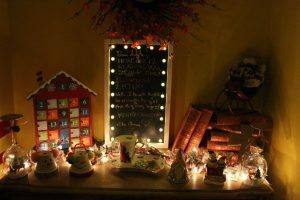 From lighting candles and daily devotionals to opening tiny boxes filled with candy, teas or even makeup, many families keep an advent calendar. Some choose a pre-filled disposable calendar you can pick-up in most stores or online, while others, like me, go the DIY approach. Every morning, beginning December 1, the countdown begins. My kids rush down stairs to open a tiny wooden door on our whimsically colored, house-shaped calendar to reveal that day’s special activity. Because life is so busy, especially around the holidays, I plan out a list of special holiday-themed activities to ensure we carve out intentional, meaningful family time. If you have never done an action-packed advent or have been too busy to put together a list, let me help you. 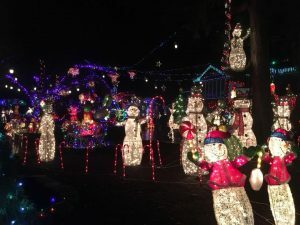 Here are 25 ways you can enjoy time with family and celebrate all the season has to offer around Thurston County. And best of all, most are low to no-cost. 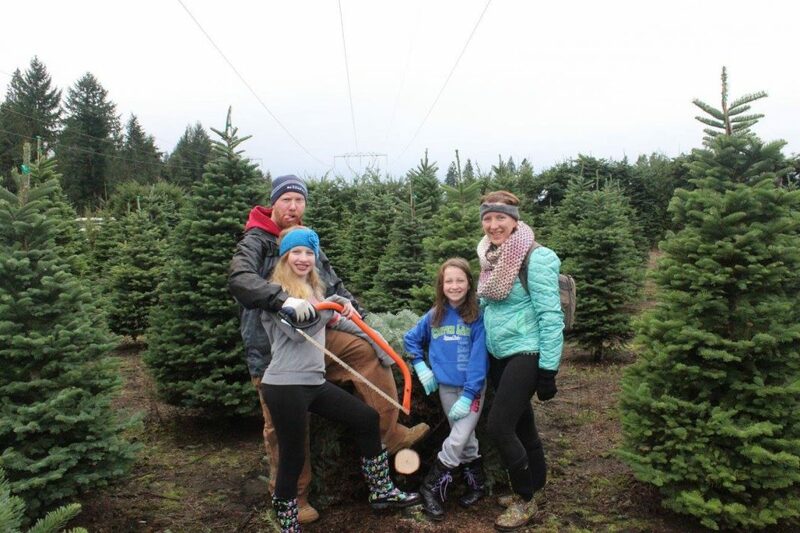 Get some fresh air and a tree from a local tree farm. Both Hunter’s Tree Farm and Schilter’s Family Farm offer a festive environment with treats and visits with Santa on the weekends. Deck the halls. Every year we add an ornament and an item to our Christmas village. Many local stores like Drees in downtown Olympia have unique decor to add to your collection. Give back to the community. Participate in the annual Toy Run on December 1 or donate food to the Thurston County Food Bank. If you are in Tumwater, just watch for Santa and his helpers to come caroling by on the antique Tumwater Fire Truck. Nothing spreads Christmas cheer like singing carols for all to hear, according to Elf. Stroll around your neighborhood with friends or check out Caroling on the Docks at Boston Harbor Marina on December 23. Take in a live holiday show. 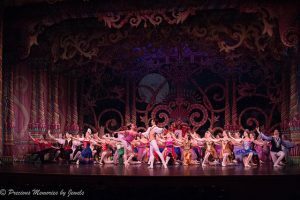 Beyond our personal favorite The Nutcracker, which is offered locally by Ballet Northwest and Studio West, here are a few other options around town: A Christmas Story the Musical, Tiny Tim’s Christmas Carol, Shrek the Musical, and Son of a Nutcracker. Have a family movie night. Pick out a classic or borrow a free movie from the Timberland Library, grab the popcorn and cozy up for some much-needed down time. Play games! Grab a game at Gabi’s Olympic Cards and Comics and host a game night. Or for a date night, test your trivia skills at Uptown Lounge in Yelm with special Christmas-themed nights on Tuesdays in December. Tour local light displays or let the lights come to you during one of the local parades – Parade of Lighted Ships at Port Plaza or Lacey’s Lighted Parade. Take part in a special event. 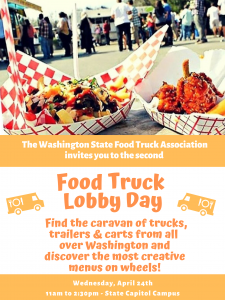 A few favorites to consider: Holiday tour of historic homes (12/2), Tumwater Tree Lighting (12/8), Science of Chocolate at the WET Science Center (12/15), or Olympic Model Railroad Society display on Thursday evenings. Grab coffee with a friend or take part in a coffee roasting tour and tasting experience December 12 at Batdorf and Bronson. Create personalized gifts. Try your hand at sign making at Brush and Board or paint pottery at the Painted Plate. Support local artisans at The Olympia Farmer’s Market or Duck the Malls on December 8. Write and deliver a nice note to a teacher, neighbor, co-worker, your postal delivery person, etc. You can event pick-up some specialty paper and cards at Compass Rose. Volunteer as a family. The Union Gospel Mission or any of the holiday assistance providers can always use extra hands. Get active. Go bowling or check out Olympia’s first seasonal ice skating rink – Oly on Ice. Sure to be popular, consider going on a Tuesday for cheapskate or on Thursdays for theme skate. Greet a cold morning with “snowman soup” (aka hot chocolate with all the fixings). Read a Christmas story or other holiday favorite. Orca Books in downtown Olympia has a great selection of books and gifts. Plan at least one special meal (special doesn’t always mean fancy). Think candlelit pizza picnic or a favorite family friendly restaurant. Attend a Christmas Eve service. Many area churches offer special services. Plan a night out or get some shopping done and let the kids burn off some energy. A popular option for active kids is Alley Oop Gymnastics’ second Saturday date night. Learn about and celebrate other traditions. We like to commemorate Nicholas Day by giving chocolate coins. Consider a stop at Bitter Sweet Chocolates for treats to fill your box. Build a gingerbread house. Nothing bonds a family like sugar. Pick-up a house or a village kit so everyone can do their own. Model kindness by helping others. Maybe it’s doing a chore for a sibling or helping a neighbor. Get outside. Look for signs of winter on hike or a bike ride. Spend the afternoon on the Yelm-Tenino Trail or one of these local hikes. 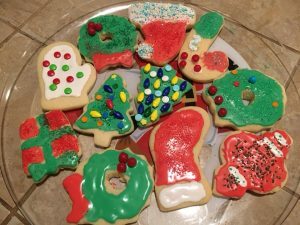 Bake and decorate cookies or other special treats for Santa on Christmas Eve. The holidays are a busy season, but with a little planning it can be a time of intentional fun and life-long memories. Even if you don’t create an advent calendar, be sure to experience all that Thurston County has to offer this holiday season. 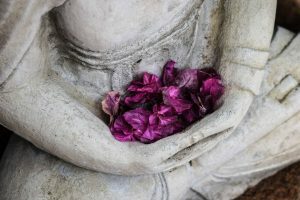 You can find other ideas and inspirations here.